I love a L’Occitane fragrance with my all time favourite being Eau des Baux with it’s vanilla, cypress and peppery incense. They’re always so different and particularly with men’s fragrance, break the mould and go beyond the norms of traditional masculine scents. Cedrat is no exception! When you think of Cedrat you’d be forgiven for thinking this is another italian cologne scent with lemons, bergamot, petitgrain and lemongrass. It’s exactly what I’d assumed before trying it for myself and how wrong I was! I never learn. Cedrat has a very simple but unique composition of bergamot, cedar, cashmere, ginger and nutmeg. It’s mouth-clenchingly citrus at one end but is a bizarre creamy-wood at the other. It’s delicate for a men’s scent but unmistakably masculine; however Cedrat is soooo odd and unique that I find it really difficult to draw comparisons to. But what I do know is that I love it! As well as the beautiful eau de toilette, L’Occitane also created a fabulous gel-based grooming regime including shower gel, shave cream gel, after-shave gel, face moisturising gel, facial cleansing gel, soap and deodorant stick. Each contains energy-boosting natural ingredients and for the face a blend of oil-reducing and skin hydrating natural ingredients. 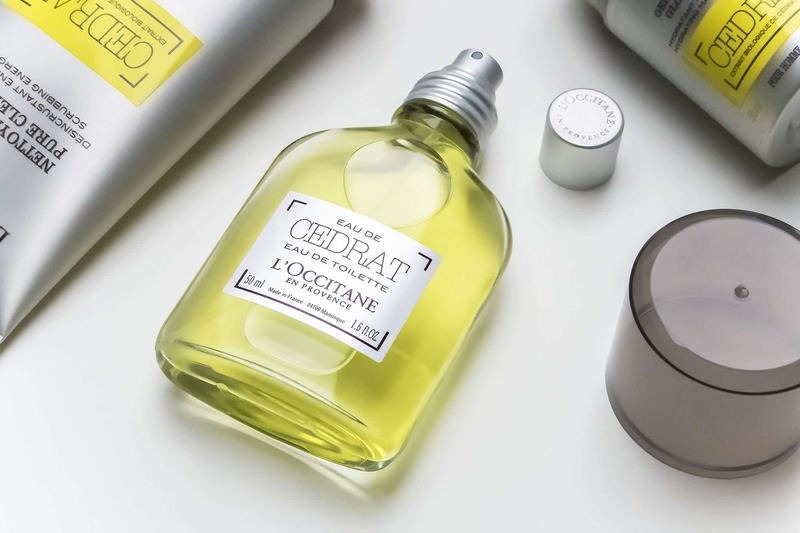 The L’Occitane Cedrat collection is available exclusively from L’Occitane here on their online store. This article first appeared on MANFACE written by Thom Watson. It was published on Friday 26th February 2016 and was last updated on Monday 3rd April 2017 at 1:07pm. It's categorised under Citrus Fragrance, L’Occitane, Oily Skin, Skin Care where you'll find more related content.